On my post Sunday Bonding at Buffalo Wild Wings, I mentioned that when me and my friends were looking for the perfect spot to eat, meaning all of us agreed on the food and ambiance, we saw a new restaurant in Capitol Drive, Kapitolyo, Pasig City where jeepneys , Philippine Public Utility Vehicle that are painted with vibrant colors and has chrome plated hood and sides, line up on it's entrance and their routes serves as the restaurant's sinage. We weren't able to check the place further because it was their soft opening and invited guests are just allowed to go inside. Since then, I am looking forward to dine on that place and after a month me, my sister and her friend tried Gerry's Jeepney, finally! 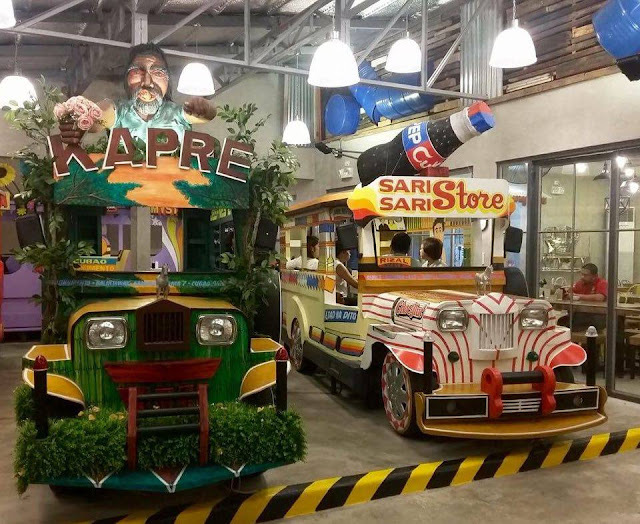 Gerry's Jeepney is located at 72 East Capitol Drive,Kapitolyo, Pasig City. What captured my attention and made me curious about this place are the jeepneys that line up on the entrance of the restaurant. 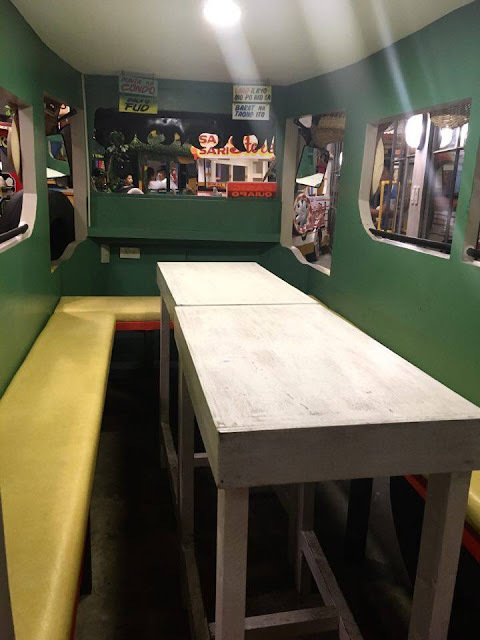 I kept on asking what are those for and now after a month my questions were answered and to my surprise you can actually dine inside those jeepneys! Tables and couch are placed inside the jeepneys so that visitors can dine inside it. 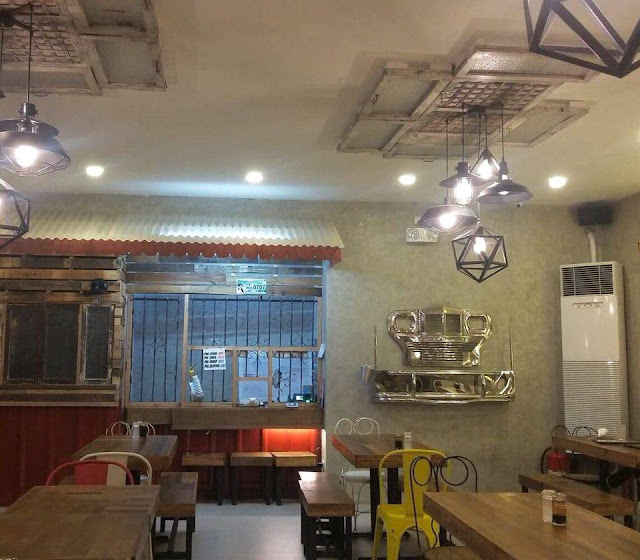 Aside from the jeepneys you can also dine inside the restaurant where wooden tables and chairs are placed. Front of the Jeepney we dine in. 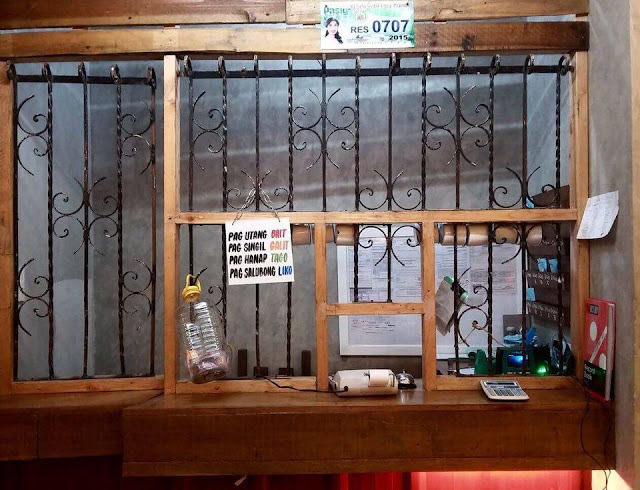 Interior of the restaurant.Decorated with sari-sari store and Jeepney accessories with wooden tables and chairs. What I love about Gerry's Jeepney is the Filipino concept instilled on it from the sari-sari store counter, jeepney designed with Philippine festival, folklore and Philippine made and known products, Jeepney ornaments like cards with markers of the route of the latter and quotes that driver's connote to themselves and their passengers, OPM (Original Pilipino Music) background music and FOOD! Sari-sari store inspired counter of Gerry's Jeepney. 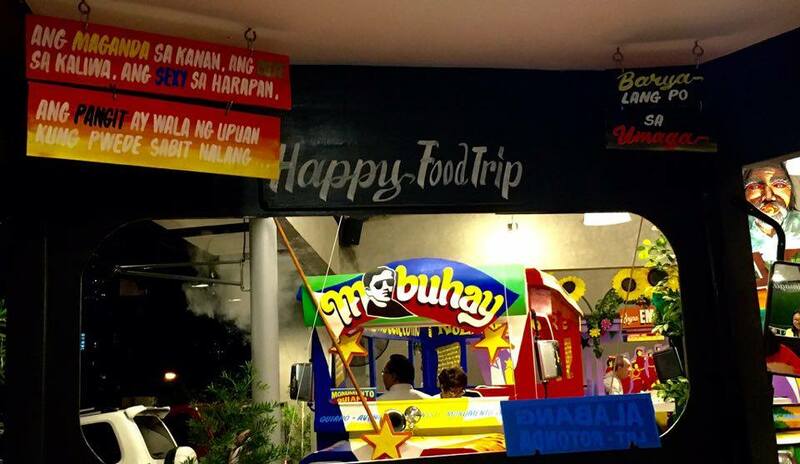 Gerry's Jeepney offers different variety of Filipino favorite dishes from adobo to sinigang to tortang talong and inihaw na bangus. 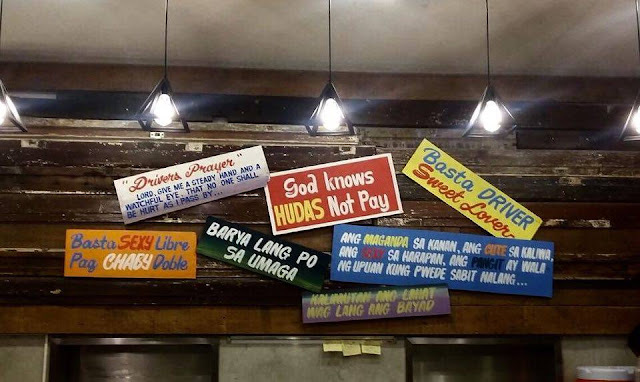 They also have Filipino favorite drinks like calamansi juice and sago at gulaman. 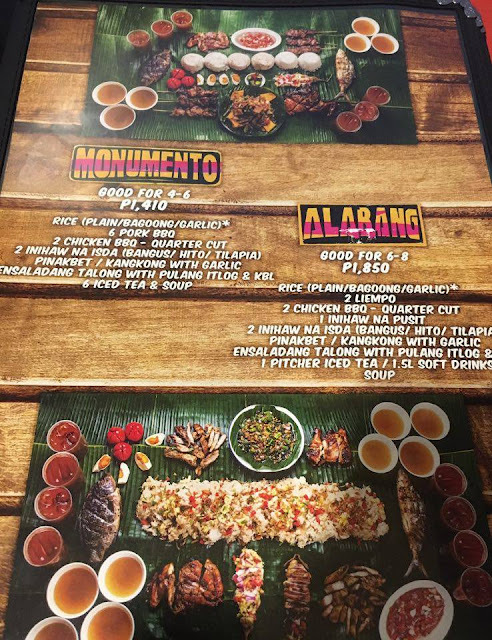 You can order a la carte or you can try their jeepney boodle fight. 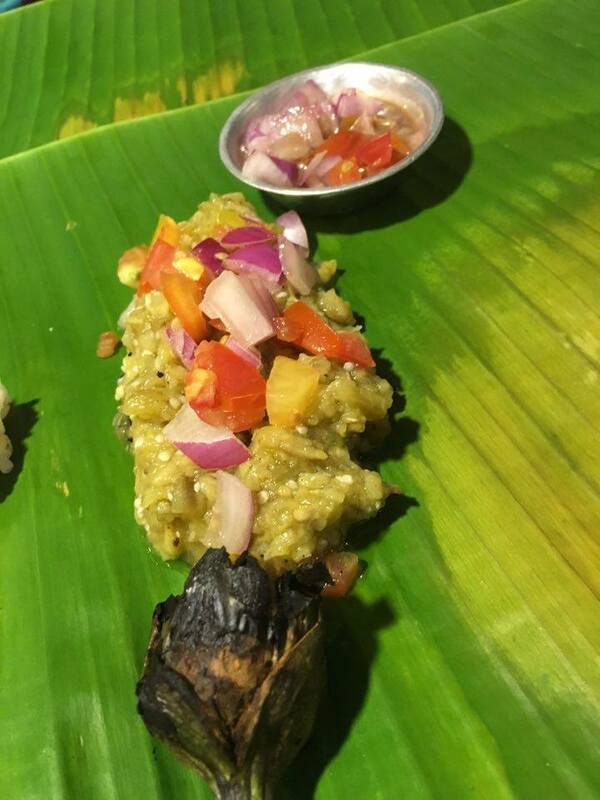 For those who are not familiar with boodle fight, it is a term used by the Philippine Military for mess eating, there are no plates and utensils, dishes are placed on the banana leaves that served as the plate or table and you will use your hand to munch the food served to you. 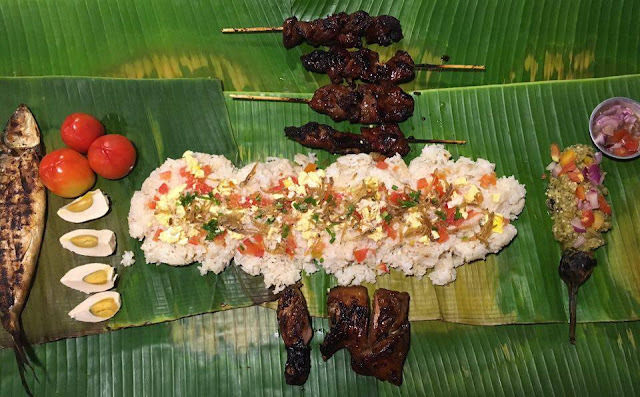 Their Jeepney Boodle Fight varieties are after jeepney routes in Metro Manila. 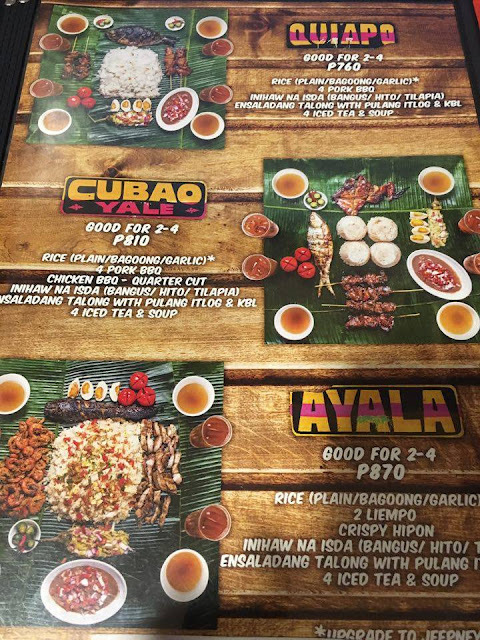 We ordered their Jeepney boodle fight CUBAO YALE. This includes Jeepney rice, Inihaw Na manok and bangus, barbecue, salted egg, ensaladang talong and ice tea. The meal is good for four person and it only costed us PhP 810 or USD 17.38. While waiting for the food to be served, one of the staff handed us a sungka, one of Filipino traditional game. Food was served after few minutes and oh it looks delicious! Their Jeepney rice is a bit sticky and has a leafy taste. It has dilis, salted and fried egg and tomatoes. Inihaw Na manok's meat is juicy and was marinated on a sweet barbecue sauce that can be tasted up to the chicken's bones. Inihaw Na bangus is boneless with a peppery and sweet taste. The bangus meat can easily fall of the fish skin. The barbecue has a tender meat and sweet taste as well like the chicken. The ensaladang talong has a sweet and sour taste and it is so delicious. 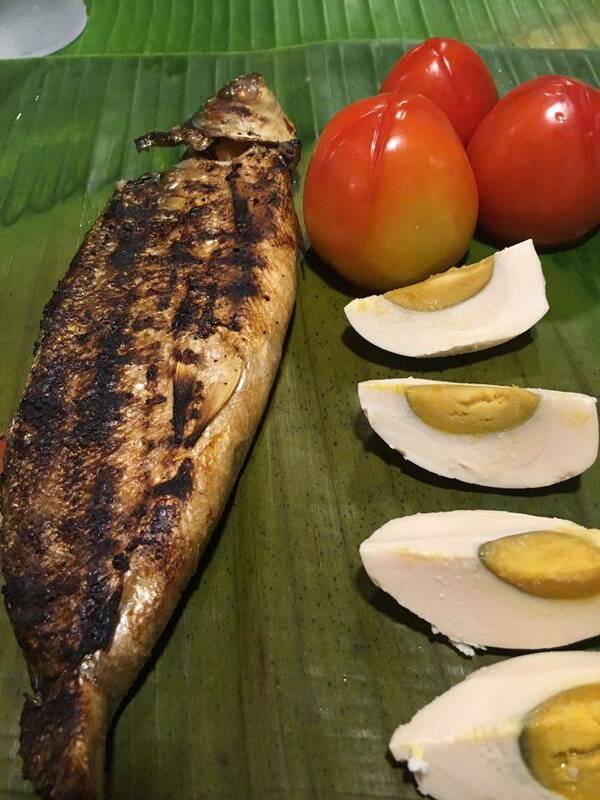 Inihaw na Bangus with salted egg. Barbecue, inihaw na manok and jeepney rice. 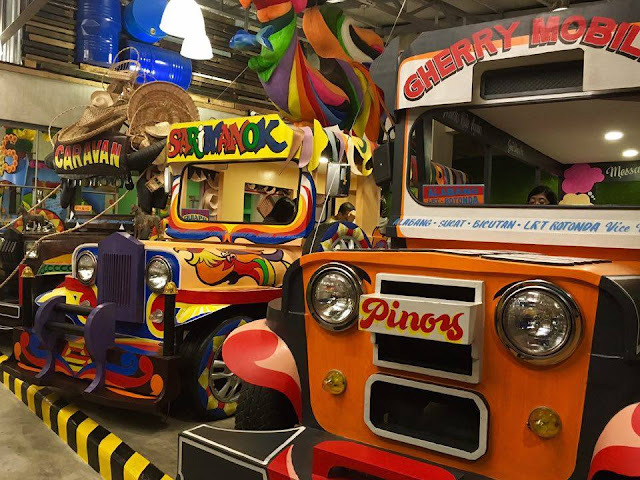 Gerry's Jeepney gave us a total Filipino experience. Food is good, no, very good. It touched my Filipino taste buds on the right spot. Food is affordable and in generous servings. My sister and I are planning to bring the rest of our family members here soon! Ooh! I've been wanting to try this place! Thanks for posting! I can imagine it can get hot eating in those jeepneys though. So I think I'll opt for a table in the restaurant. hehehe. 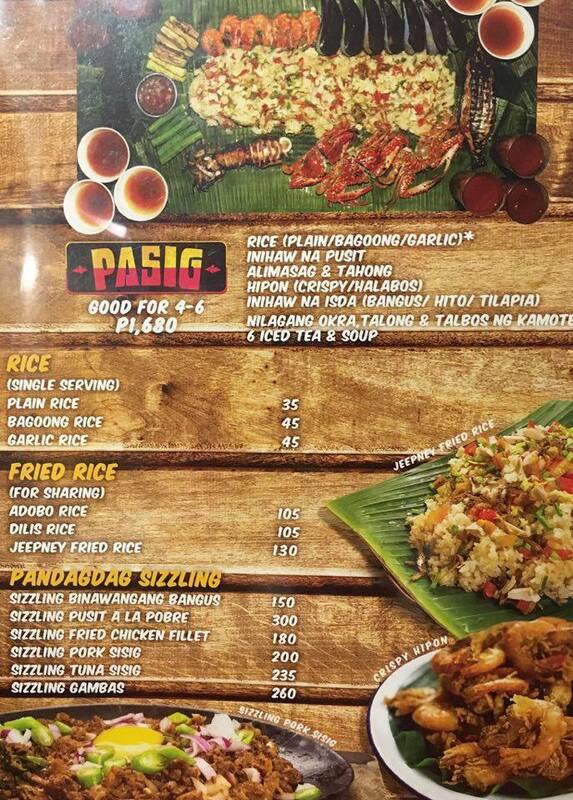 Boodle fight menus look delicious! How's the crowd by the way? Were there plenty of people? I'm excited to try this resto when my family and I are int his part of town. It's quite far from us. But I'm willing to go there next time we visit my parents or we attend an event in QC. I love the ambiance and read good reviews about the food. 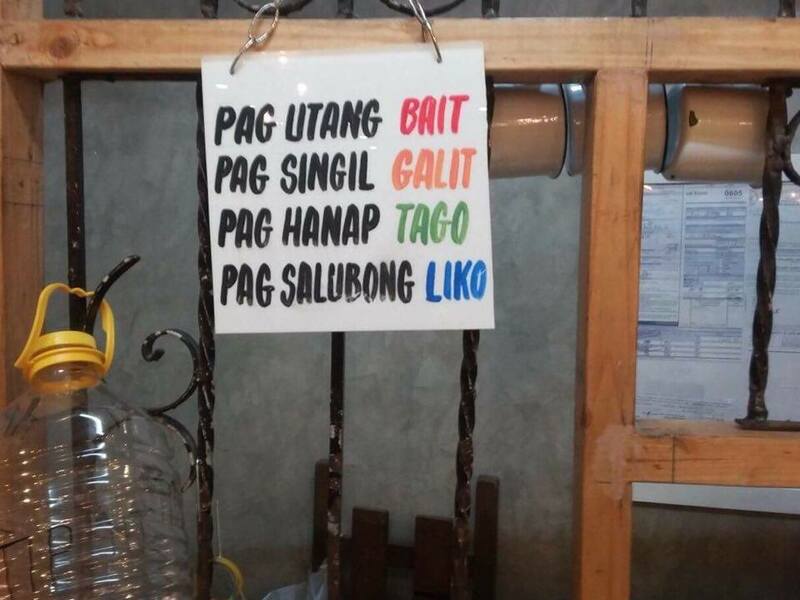 Hala ang cute naman nito! Definitely Filipino theme! I'd love to be able to visit this place and dine. 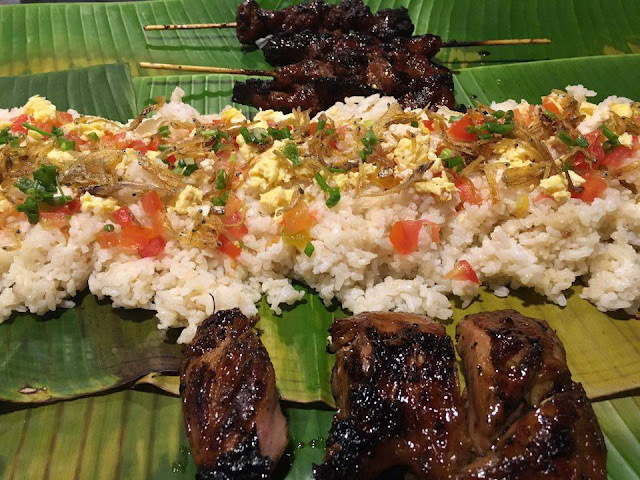 My comfort food is Filipino food. And just by looking at the tortang talong, naglalaway na ako! I've eaten there already! That was some time last year and oh my god the wait was too long. I think we waited for 2 hours?! I loved the entire look of the place though, and the food was also good but the serving was small. 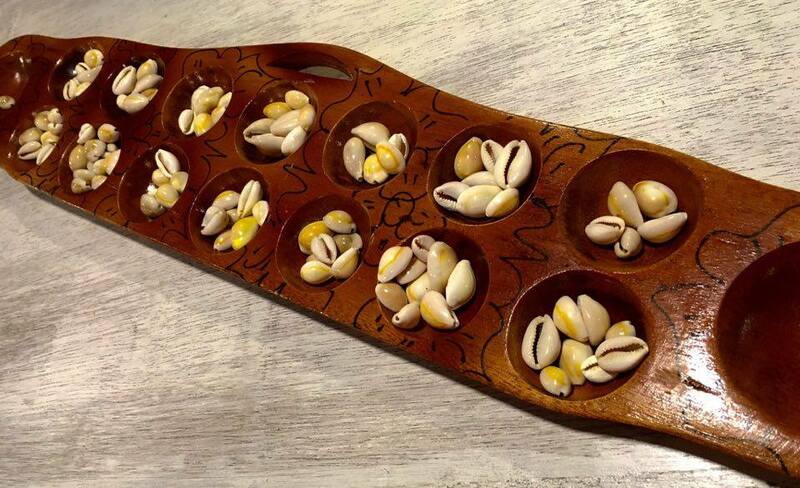 I've played a game similar looking to sungka but we call it mancala. That restaurant looks fun. I would love to eat in a jeepney. And the food looks exciting and tasty too! Truly one of the places i would want to try with the kids. Surely we will have fun not only with its delectable food but the ambiance as well. It is always refreshing to be in a place youve never tried before, add to that the kind of environment it creates. I have read a review somewhere else and since then, I have not visited. How was the serving size? I previously had the impression the serving size was, let's say it is on the small side rather than generous. I am sure it was a lot of fun with friends, and boodle fight is always a great way to eat with family or friends. One more thing, was it hard to get off if someone sitting inside needs to use the comfort room? Oh my! The food looks divine. I do love some authentic Filipino dishes and this place seem to serve just that. Will definitely consider going there if I'm in the area.